Enhance your appearance with eyelid surgery. Blepharoplasty is an operation designed to enhance the most notable aspect of your face – your eyelids. This popular procedure is one of the most common cosmetic surgeries performed in the USA. Blepharoplasty surgery will produce a natural, rested and more youthful appearance. Dr. John A. Long, a Birmingham, Alabama eyelid surgeon, is an expert at performing blepharoplasty of the upper and lower eyelids. 1. Your appearance and first impression begin with your eyes. Eyelid bags and eyelid fullness are associated with aging. Blepharoplasty restores your youthful appearance without looking "overdone". You can have an upper eyelid blepharoplasty, a lower eyelid blepharoplasty or both. 2. Blepharoplasty may be the only procedure you need to restore your rested appearance. Many plastic surgeons will promote multiple procedures to improve your looks. It pays to start with the eyelids and reassess before proceeding with more complicated and less effective surgery. 3. People notice your eyelids. While family and friends are not quick to criticize your appearance, they will be quick to notice the improvement after surgery. 4. Blepharoplasty will result in a natural and appropriate appearance. The final appearance of the eyelids after blepharoplasty will not have a "pulled-tight-surgical appearance". Modern techniques in blepharoplasty are designed to promote the natural look. Visit our gallery of pre- and post-operative patient photos. 5. Blepharoplasty makes people happy. The primary reason patients have eyelid surgery is to fix something they want to have fixed. If your eyelids need "fixing", blepharoplasty may be for you. 1. Education counts. Doctor Long is an oculoplastic surgeon who specializes in eyelid surgery. He is a board certified ophthalmologist and a plastic surgeon. Remember that the eyelids are an integral part of the visual system. An oculoplastic surgeon is the expert in eyelid surgery. 2. Experience counts. 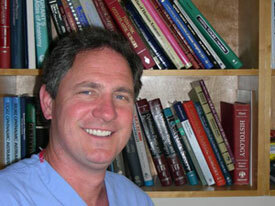 For 20 years, Dr. Long has specialized in eyelid surgery and only eyelid surgery. He has performed thousands of eyelid procedures. 3. Volume counts. No one does more eyelid surgery in Alabama than Dr. Long. Chances are that you know someone who has had eyelid surgery performed by Dr. Long. 4. Value counts. Cosmetic surgery is an investment in your appearance. Blepharoplasty delivers value for your money. Blepharoplasty offers a lasting improvement in the shape of the eyelids. Heavy and baggy eyelids usually do not come back after blepharoplasty. 5. Results count. Happy patients are Dr. Long’s goal. While the outcome of any surgical procedure cannot be guaranteed, patient satisfaction with blepharoplasty is extremely high. Satisfied blepharoplasty patients refer their friends and family to Dr. Long and this is certainly one reason he is the “go to” blepharoplasty doctor in Alabama. *While patient satisfaction with Dr. Long is high, we cannot guarantee the outcome of any surgical procedure. Individual results vary from patient to patient and it's important that you speak with Dr. Long to determine the best solution for you.